The needs of the users are more and more various, so the sector of pharmaceutical packaging has to diversify its own offer in order to fulfil them. 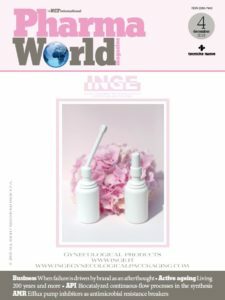 Inge S.p.A., company owner of more than 280 international patents, has a constant and careful attention towards the market, and diversifies its offer accordingly. Inge Spa introduces today a new enema bottle, 30 ml capacity. The company, that is specialized in the engineering and development of primary plastic packaging for the pharmaceutical, veterinary, cosmetic, nutraceutical, diagnostic and household product industries, set up this new bottle in soft LDPE (Low Density Poliethylene) replacing the usual seal with a special valve, that assures the non-return of the bottle to the initial position after use. The peculiar conformation of the bellows allows the complete outgoing of the liquid; moreover, in order to assure integrity and tamper evidence of the enema, the canula can be supplied also with closed erogation hole, that can be opened at the moment of use by simply making a slight pressure on the overcap. Moreover the company can, if requested, supply the canula already lubrified with a pre-determined quantity of vaseline. This new bottle contributes to widen the range of enema bottles produced by the company. The range is composed by 4 families of micro enema bottles with capacity from 3 to 9 gr, available with different kind of accessories, with different dimensions, and by 25 different bottles for macro enema, from 30 to 180 ml with simple canula or supplied with non-return valve.